Your wedding day wouldn’t be special without that touch of sentimental “something old”. Here are 4 favourite “somthing olds” that will give you just the right amount of old, together with unique. The getaway car – Instead of hiring a fancy limo to take you to your honeymoon, opt for the bride’s old car, when growing up. Not only will you feel that you have come along way to where you are now, you may have also shared your first kiss with your groom in that car. The traditional second dress – Most brides these days choose to wear only their wedding dress on their special day. But, if you have your mother’s/ sisters/ grandmother’s wedding dress, you could add some personal touches and use it as your second dress or going away outfit. It would be a way of reminiscing on the past as well as giving your family the chance to see you in the dress your Mother/ sister/ grandmother wore, many years ago. A Chic Accessory – Add little sentimental touches to your outfit, by removing pearls or accessories from your mother’s/ grandmother’s wedding gown and adding it to a clutch. It can be your very own DIY project, that you can now hand down to your children. 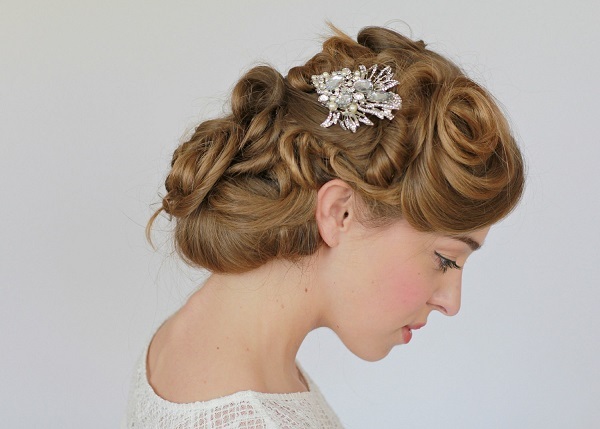 Glamorous Hair Accessory – If you are planning on having your hair swept up in a vintage updo, wear a vintage hair pin. Ask your mother/ grandmother, if she has one, that you can wear and keep.